Beijing, AFP, 14 January 2018-- An Iranian oil tanker burst into flames from end to end and sank Sunday, eight days after a collision with a cargo ship off China, state media said. A Tehran official said even before news of the sinking that there was no hope of saving some 30 missing crewmen. But Chinese officials played down fears of a major environmental disaster. 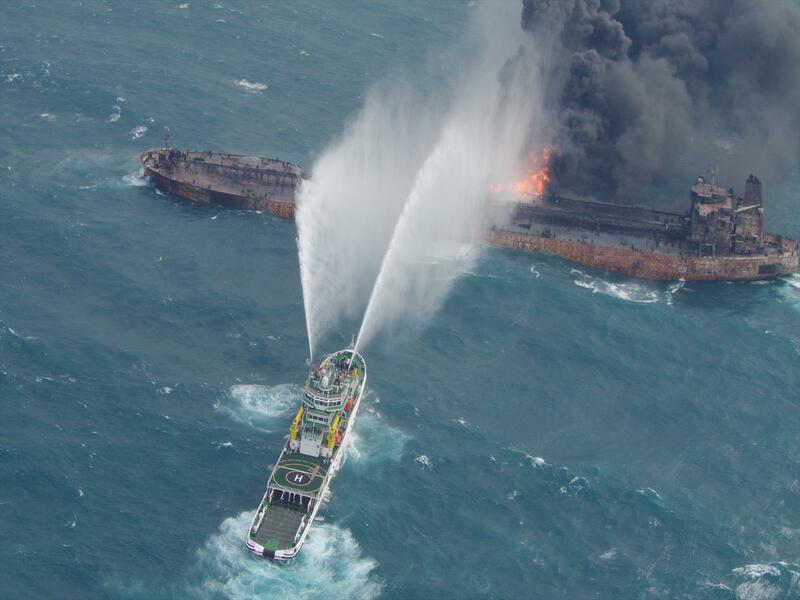 The Sanchi, carrying 136,000 tons of light crude oil from Iran, had been in flames since colliding with the CF Crystal, a Hong Kong-registered bulk freighter, on January 6. Around midday Sunday the ship “suddenly ignited”, with the entire vessel burning fiercely and a pall of smoke around 800 to 1,000 meters high, China’s transport ministry said, releasing dramatic pictures showing the entire vessel obscured by thick black smoke. The ship later sank, the official news agency Xinhua cited the State Oceanic Administration as saying.  “There is no hope of finding survivors among the members of the crew,” Mohammad Rastad, spokesman for the Iranian rescue team dispatched to Shanghai, told Iran’s state broadcaster in Tehran before the tanker went down. The fuel covering a 10 square kilometer area. Rastad said information from members of the Crystal crew suggested all the personnel on the Sanchi were killed in the first hour of the accident “due to the explosion and the release of gas”. “Despite our efforts, it has not been possible to extinguish the fire and recover the bodies due to repeated explosions and gas leaks,” he said. The Sanchi, which was headed to South Korea to deliver its cargo, had a crew of 32 to 30 Iranians and two Bangladeshis. Only three bodies have so far been recovered. Chinese rescuers Saturday also recovered the tanker’s “black box”, the transport ministry said without specifying exactly what had been retrieved. A reporter with China’s state television CCTV aboard a plane from the State Oceanic Administration reported seeing wreckage from the Sanchi and oil on fire, and spilt fuel covering a 10 square kilometer area. “The oil spill situation is very serious,” CCTV quoted the reporter as saying on social media. But the television earlier also cited Zhang Yong, a senior engineer with the State Oceanic Administration, as playing down fears of a spill. “Because this is light crude oil spill, relatively speaking it has a much smaller impact than other oil spills, because this kind of oil is especially volatile -- most of it has entered the atmosphere, so it’s had less impact on the ocean...,” Zhang was quoted as saying. 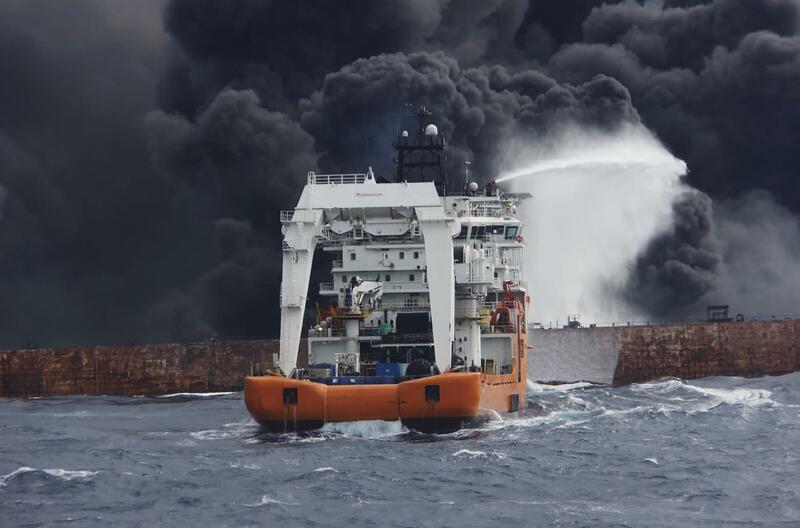 Rescue efforts had been particularly difficult because at 89 degrees Celsius, the vessel’s compartments were too hot for workers to withstand for long, CCTV quoted He Wang, an expert from Chinese oil company Huade Petrochemical, as saying.